There is a coffee-shop somewhere in Pantai Jerjak and Gold Coast area. I did not manage to get the address so hope the Penangites can tell me the exactly location. I had been there three times. 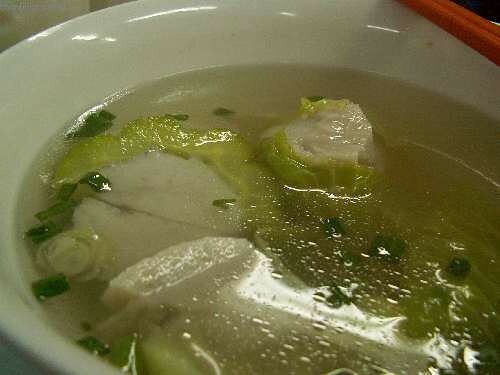 I know the shop is called Kampar fish jelly. I guess, the fish jelly is a direct translation from Cantonese for fish paste. Various types of young tau foo and crispy soya bean sheets called ‘chui pok pok’. The photo above is the chui pok pok. It is really nice to munch of these. Various types of fish balls stuff in chillies, okra, bitter gourd and other stuffs. Cook in big bowls of soup. Other noteworthy dishes are the hakka mee or homemade wheat noodle with meat sauce, herbal chicken wrapped in foil, yam rice and a few other simple dishes. The place is clean and bright. Their fu chuk (soya bean brew) is nice. Plenty of Indonesian maids who are friendly. Only negative point – the big boss loves to scold his workers! Two out of three times, he was blasting away the poor workers. And ordering takes a while because he will jot down bowl by bowl orders. *sheesh* Why can’t he hold his tongue while people are eating? Why don’t he let his patrons pick what they want and put into the individual bowls instead of taking orders in seperate chits? Do give this shop a try if you are looking for something different. Not often you can find these sort of food in Penang. 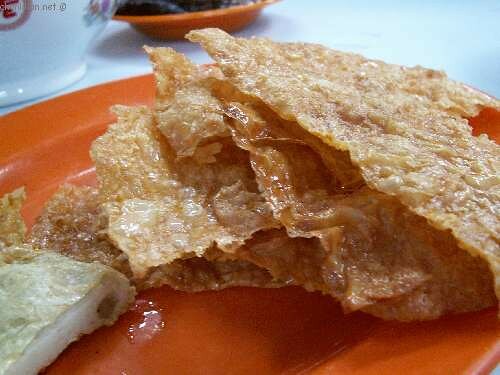 Food, travel, recipe of Penang, Malaysia » Blog Archive » Who knows how to make Hakka Mee? Recipe Download Centre » Who knows how to make Hakka Mee?